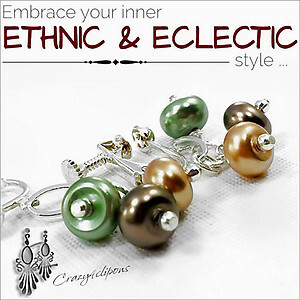 Features: For an simple yet classic style snag up a pair of these pearl dangle clip on earrings. 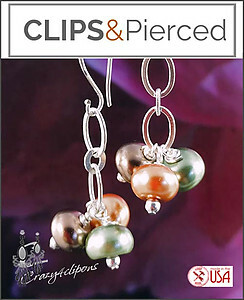 Glass Pearls in rich hues dangle from plated chain in refreshing hoop design. 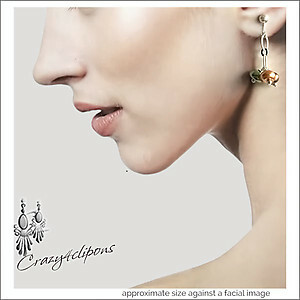 Light, beautiful and available for both pierced and non-pierced ears.